My favourite weekend breakfast when I’m in Singapore-Roti Prata! It’s a flat bread that is cooked on a big hot pan using ghee. It is a must-have when you’re in Singapore! 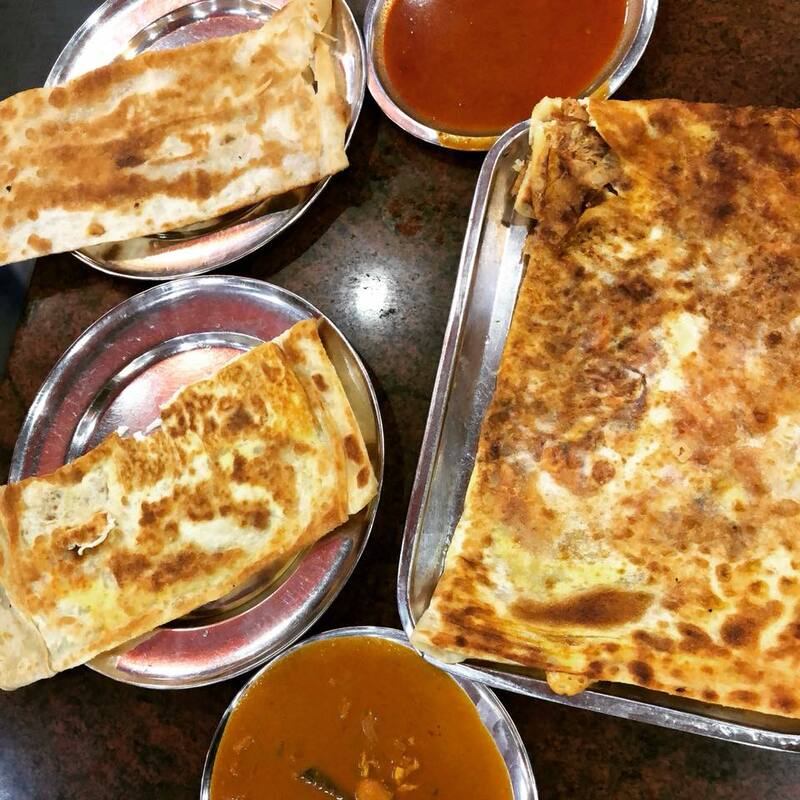 We ordered Roti Prata with egg, Murtabak with sardine (a prata stuffed with sardines cooked in tomato sauce) and paper prata which is an extremely thin & crispy prata served here with fish curry sauce and chicken curry sauce! Casuarina curry Singapore does one of the best prata in Singapore! Yum! !